With a 4.5-star rating and nearly 25 thousand reviews, Beblue’s innovative cashback and customer loyalty app is garnering a lot of attention in the fintech industry. Beblue users instantly get a portion of their money back on purchases made at thousands of partner sites. Credit never expires and can be used at any of the businesses in the Beblue network. Partner businesses gain access to a website where they can monitor sales in real time and view customer habits, consumption trends, sales frequency, and more essential insights. Armed with real-time data, they can create more effective marketing campaigns and win greater customer loyalty. Currently available in 50 cities with 4 million downloads, Beblue plans to expand to more than 100 cities over the next three years. Launched marketing campaigns based on geography and purchase behavior to activate new users, with a 68% jump in active users. In order to provide value to clients and users, Beblue needed to grow both their app’s user base and their network of partner businesses. Detailed insights on customer profiles and preferences are invaluable to businesses looking to offer what consumers really need and want. And offering access to those insights as well as the ability to communicate with customers effectively is a powerful draw for potential partner businesses. The Beblue team needed an efficient way to analyze and act on consumer behavior, and scale their personalized messaging campaigns. CleverTap’s scheduled and triggered campaigns and allow Beblue to interact with their users every day on the most effective channels, whether push, email, in-app, or SMS, without annoying them with irrelevant or spammy messages. Automated user segments and advanced personalization capabilities save the Beblue marketing team time and resources. All push notifications include deep links to the app for a personalized user experience. They use RFM Analysis to automatically segment their user base and send targeted campaigns with customized discounts and cash back rates. And by A/B testing notification content, they can optimize messaging, deep links, and coupon directioning. Each campaign includes highly targeted segmentation based on both user profiles and in-app activity. For example, when a user makes a purchase they receive a push notification the next day prompting them to invite their friends, based on how long they’ve been using the app. Beblue sends automated push notification campaigns scheduled for a particular time, or triggered by real-time user activity, to drive user engagement. Rich segmentation allows the team to engage each of their 2 million+ users with highly relevant messages. 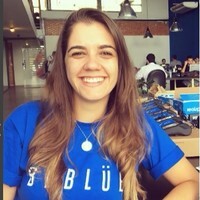 By tracking user cohorts Beblue can identify user trends, analyze churn, and improve app engagement. As Beblue pursues its goal of using mobile technology to stimulate sales and customer loyalty, the team will increase the number of campaigns they launch with CleverTap. As they continue to scale, they expect to further reduce their reliance on business intelligence teams and automate more campaigns to save 20 hours a week on manual efforts. They also plan to use Journeys to build end-to-end omnichannel brand experiences that fuel conversions and help today’s businesses create lasting customer relationships.